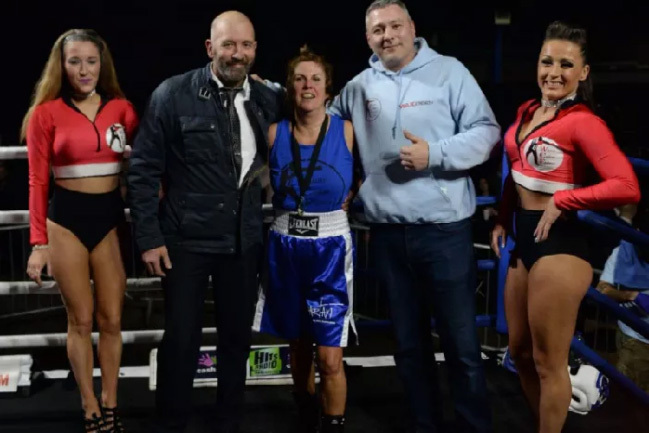 Former nurse and grandmother of five Cathy Dickinson stepped into the ring and raised thousands of pounds for her chosen charity. 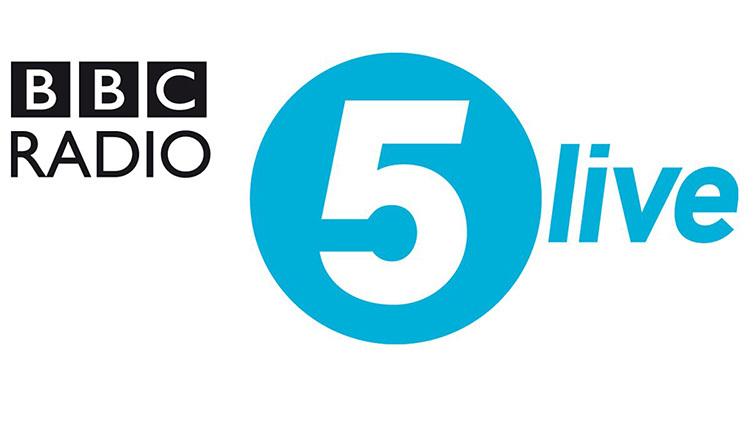 Listen to Ciaran Tracey’s BBC Radio 5 Live documentary that was made all about the White Collar Fighter journey… “Why I Fight: The Story of a White Collar Fighter”. 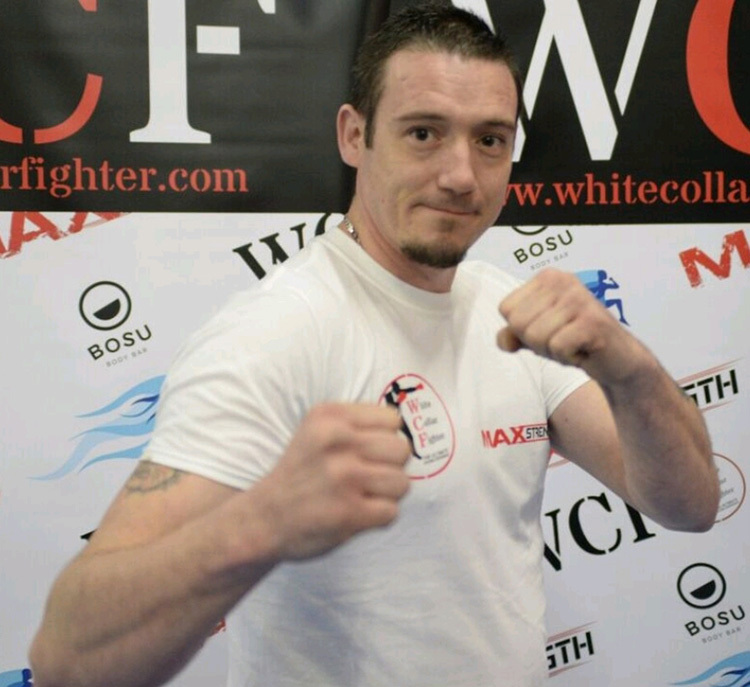 Hear what multi-award winning broadcaster and founder of the award-winning podcast “Fightdisciples” Adam Catterall has to say about the WCF experience. 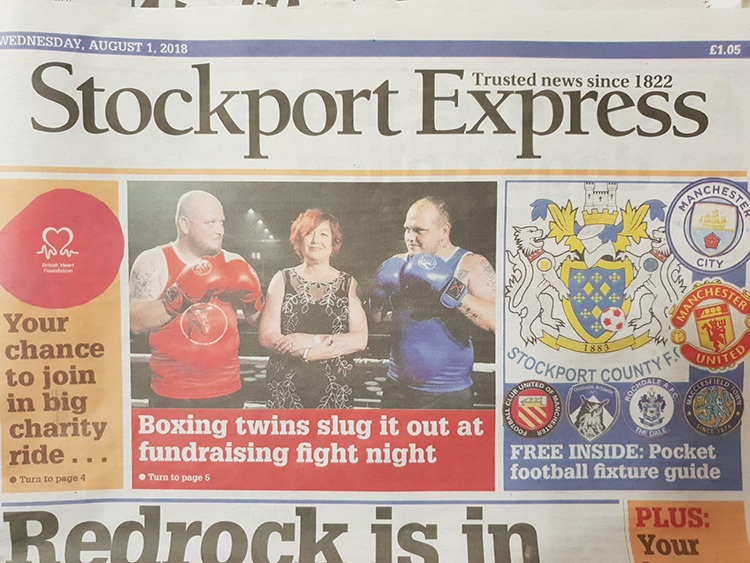 Cathy Dickinson raised some £2,000 after gamely pledging to take part in her very first boxing match at the age of 60. 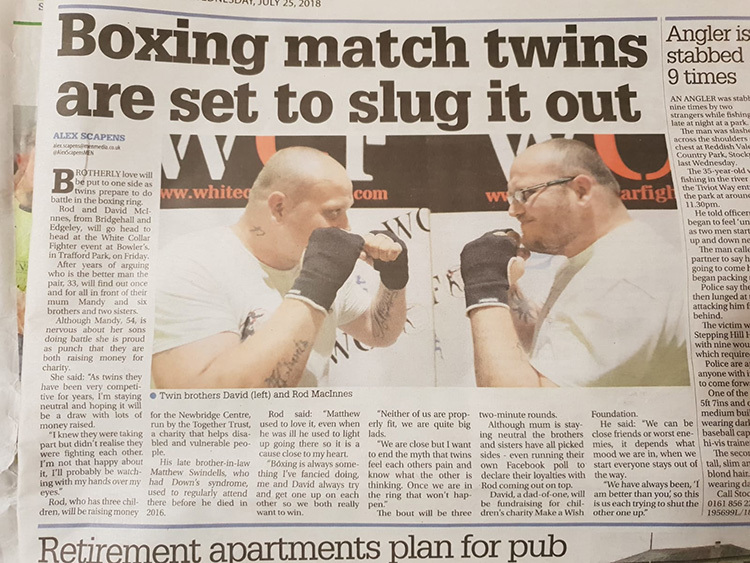 She fought a much younger opponent in Manchester recently after several weeks of training. 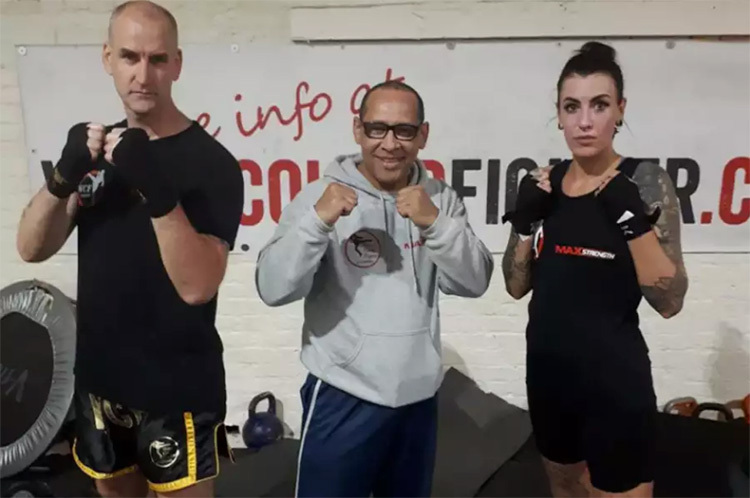 James, who is the deputy standard bearer for the Hayfield branch of The Royal British Legion, is taking on the White Collar Fighter Challenge Kickboxing Experience on Saturday in Manchester. 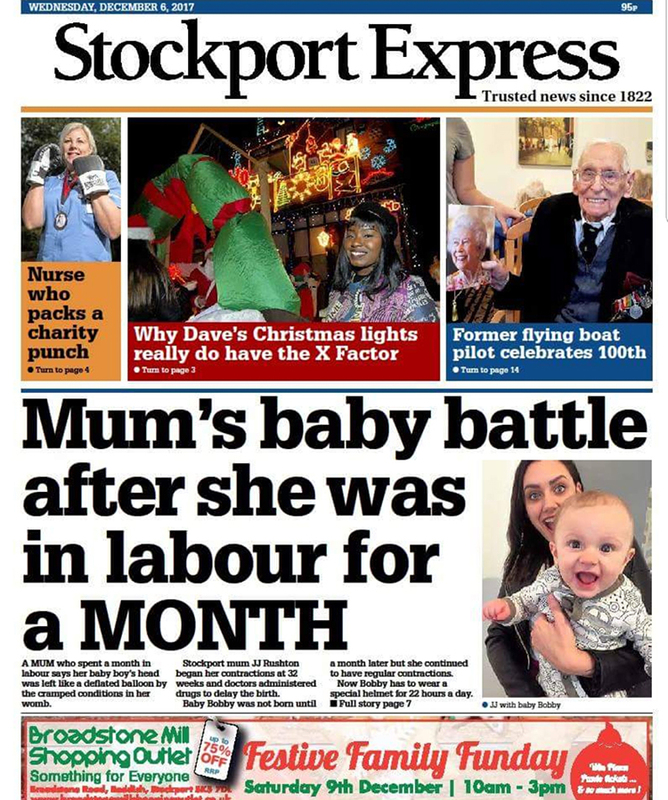 Shout out to twin brothers David and Rod MacInnes for featuring in the Stockport Express. 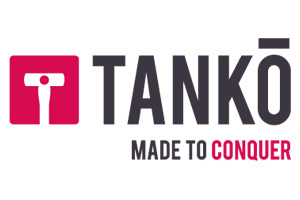 Between them they raised around £500 for their chosen charity, the Together Trust. 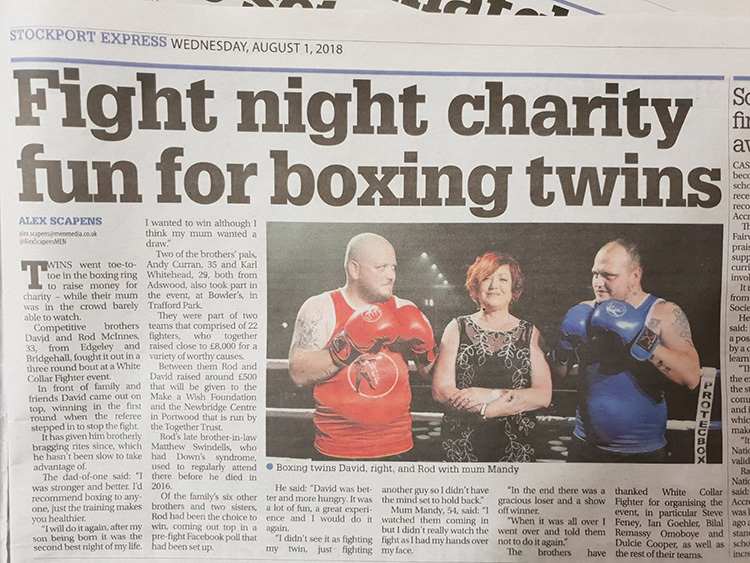 From “fat, middle-class, boring Dad” to White Collar Fighter… Watch Andrew Findlay’s interview with BBC 5 Live and find out why the entered the ring for charity. 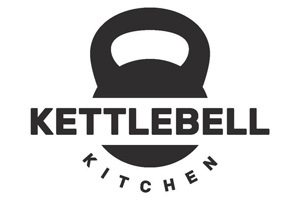 Our charity partner, Cash for Kids, have launched an excellent campaign to help disadvantaged kids across Greater Manchester. 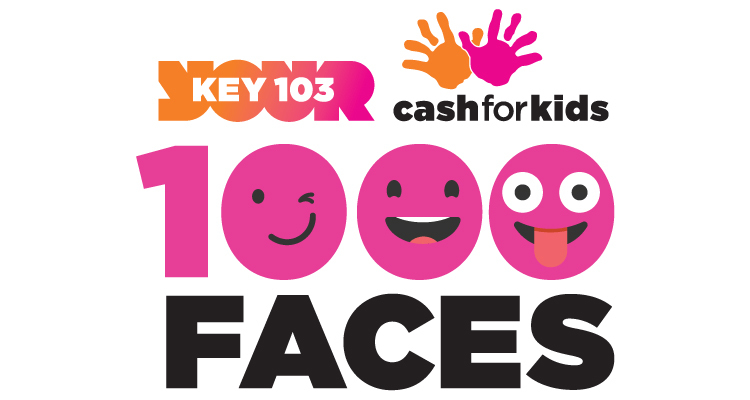 The “1000 Faces” campaign asks people to commit to raising £100 over the year for Cash for Kids.